Another simple guided recipe. 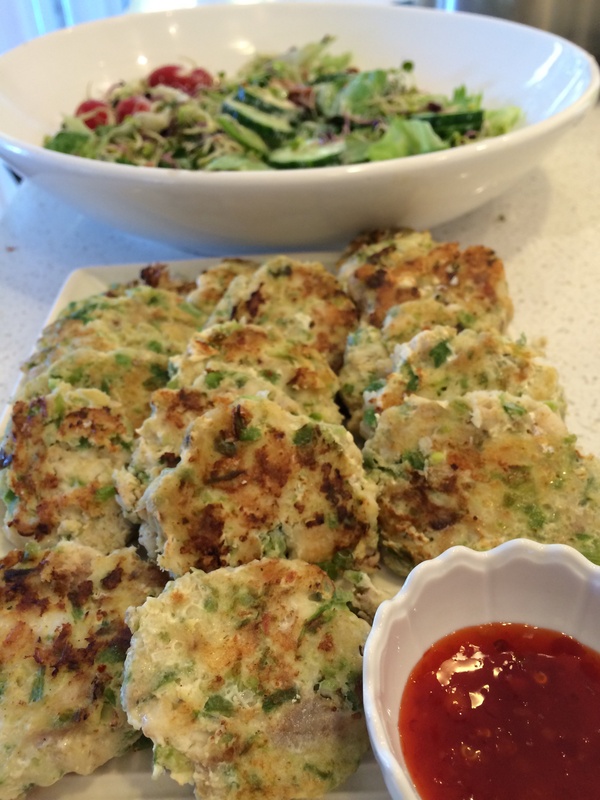 Fish cakes made from fish, beans, spring onion, kaffir lime leaves, coconut cream, egg and Thai red curry paste. I cut back on the curry paste from 100g to 40g because I thought the heat may be too much for this kids. Because there was no salt added to compensate the fish cakes lacked a little flavour but once dipped into chilli sauce they were lovely. The look of the steamed fish cakes also wasn’t very appealing, very light so decided to pan fry these to give them more colour. Can’t be too judgemental with the recipe because they would probably taste great with the full quantity of red curry paste. I’ll add some chopped coriander and full amount of curry paste next time. Still a good meal. And not something I would have cooked ordinarily on a week night. The preparation time is less than 10 minutes with the thermomix so really can’t complain. And the family is lucky to have such variety all the time, definately keen to look up other fish cake recipes to try. This one from taste.com looks like a good one and can all be done in the thermomix.